From April 11th on it's possible to make reservations again. We'll then have a brand new floor and we'll be cooking on induction. See you! 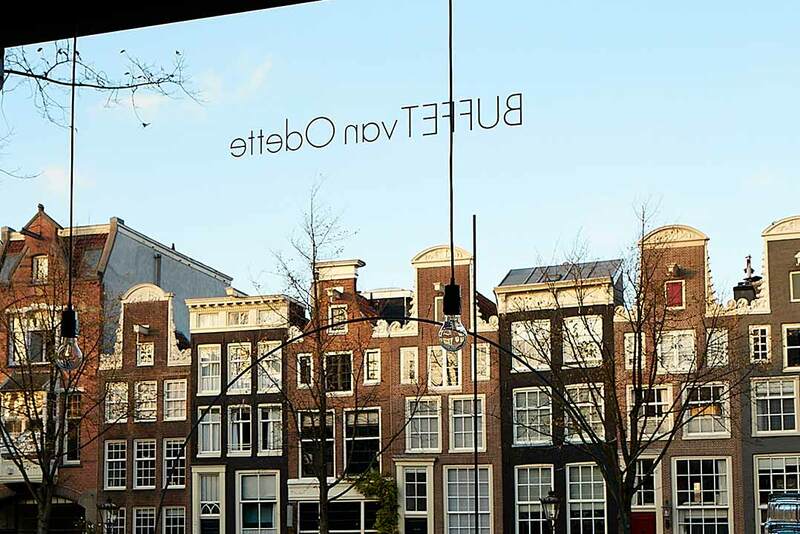 For over two decades, BUFFET van Odette (Odette’s Buffet) has been one of Amsterdam’s most cherished places for breakfast, lunch, and dinner. 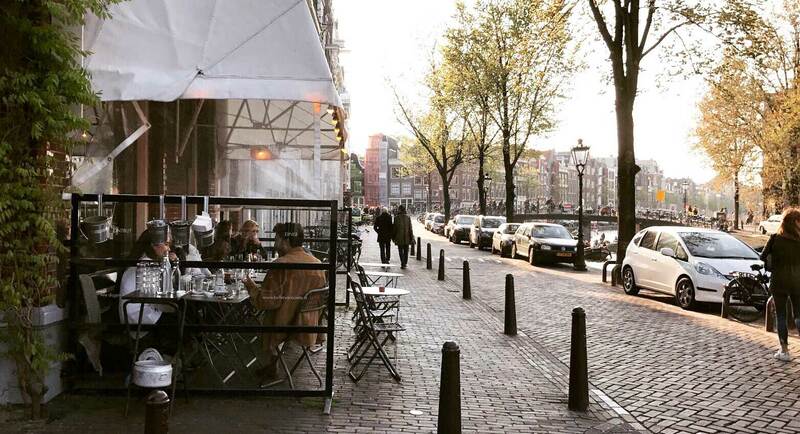 Our beautiful outdoor seating area has a stunning view of the Prinsengracht, and our stylishly decorated dining room is welcoming and cozy. No matter what time of day you visit Odette’s, you will always find a fine selection of tasty dishes. We serve fish from Frank’s Smokehouse; bread from Hartog’s Bakery; Bocca coffee; and meat, vegetables, and cheeses from De Lindenhoff, a local farm. In addition to our renowned (truffle cheese) omelettes, we have many other tempting dishes, including the popular “buffet plate,” a fresh selection of vegetable dishes and salads, served with fresh artisinal bread. 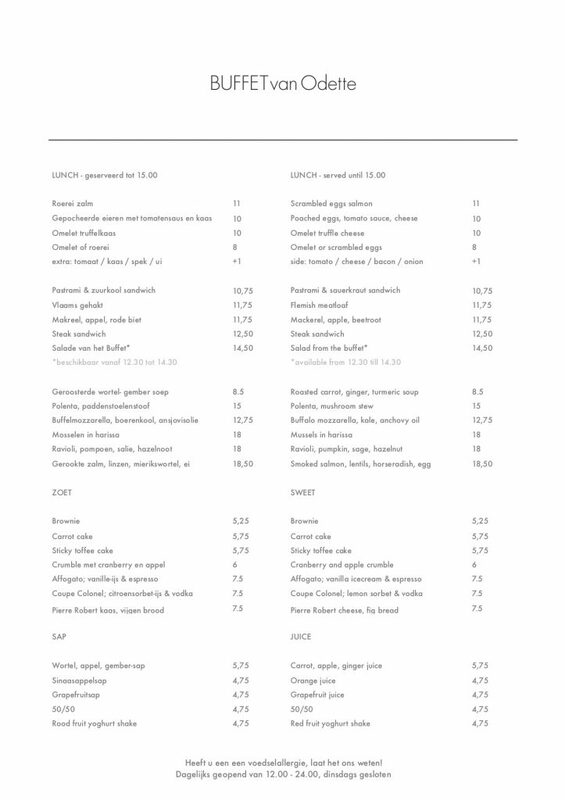 We also offer quiches, soups, pastas, delicious coffees, and scrumptious cakes. In the afternoon, enjoy a cocktail or a glass of wine with our “aperitivo,” a snack plate with a delightful selection of vegetables, cured meats, and bread. 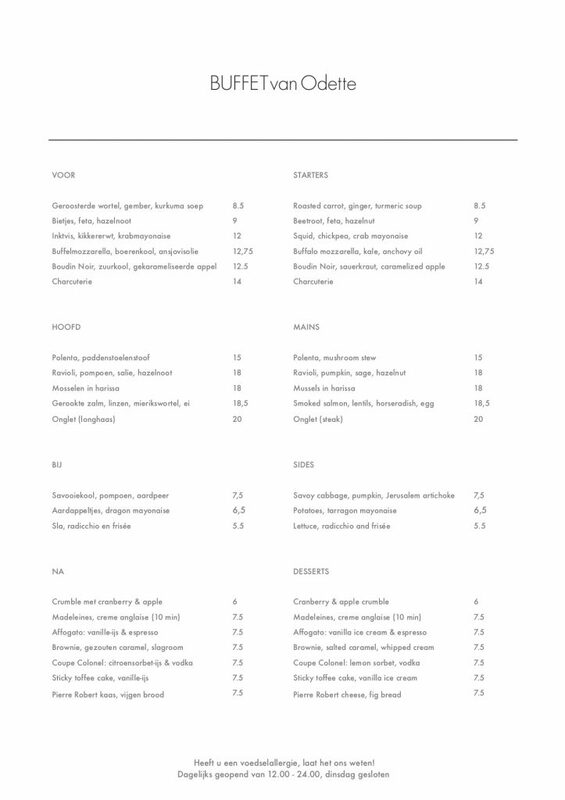 Our dinner menu consists of classic entrees supplemented with rotating seasonal dishes and fine natural wines. Odette’s Buffet has humble beginnings. In 1994, Odette Rigterink started serving homemade food, which she transported by bicycle, at the Amsterdam restaurant, Enfant Terrible. 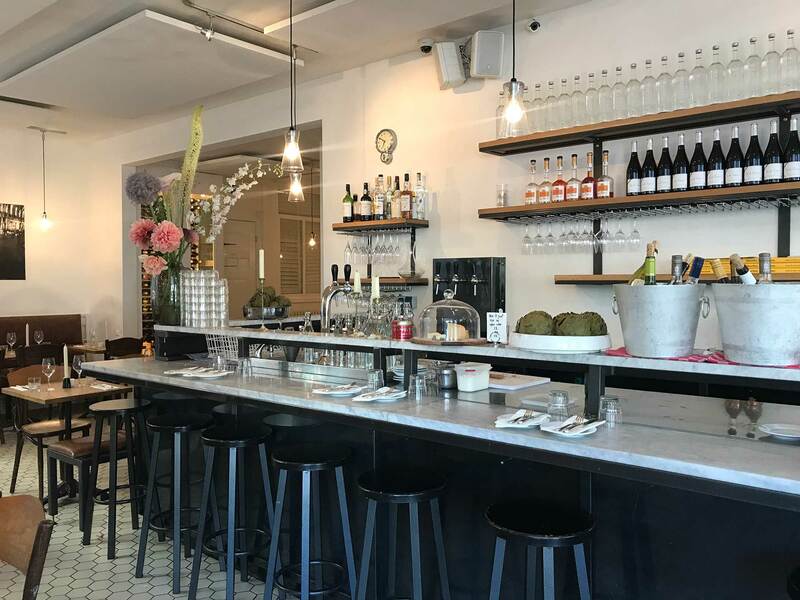 It was there that she first started serving healthy, simple meals according to her credo, “real food.” In 1998 Odette opened her own small restaurant and take-out shop in the Berenstraat in The Nine Streets area of Amsterdam. 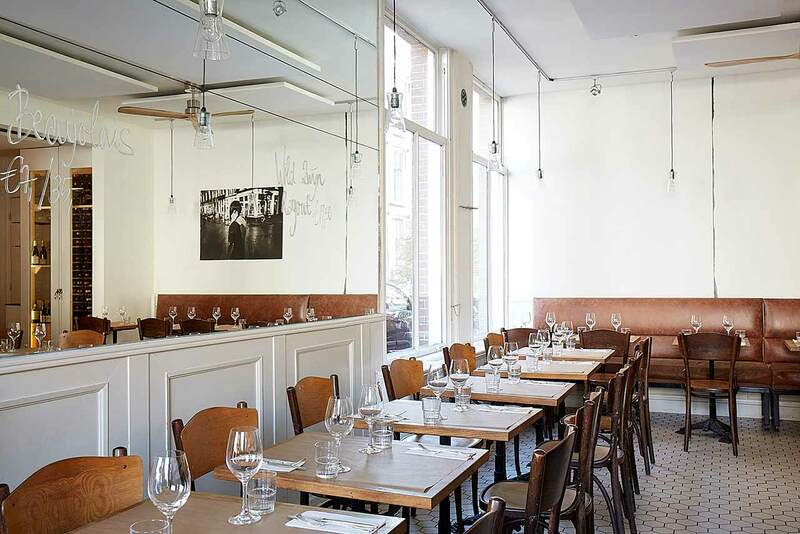 In 2001 she relocated her restaurant to the Herengracht. After ten successful years, it was time to move to a larger venue. 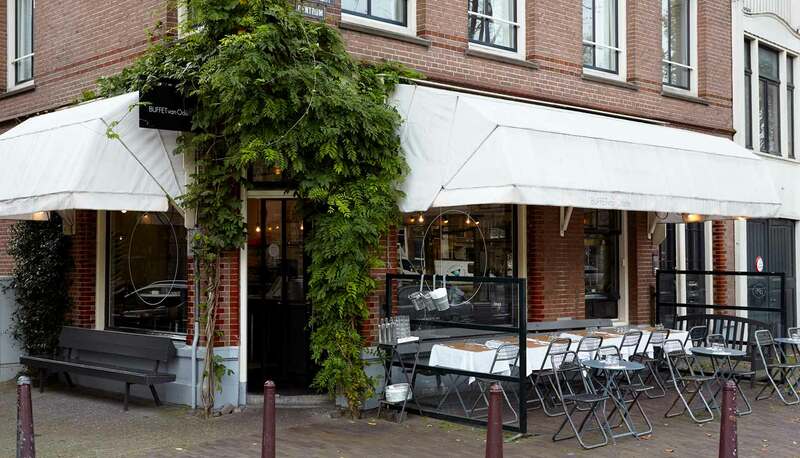 In 2011, Odette’s Buffet opened in its current location, at Prinsengracht 598. Twenty years after serving her first customers, Odette still follows her original philosophy: everybody deserves a wholesome plate of real food. If you are having trouble with the online reservation system, please call us and we will assist you. Please note: groups larger than 6 people can only reserve by e-mail. Interested in working at the Buffet?